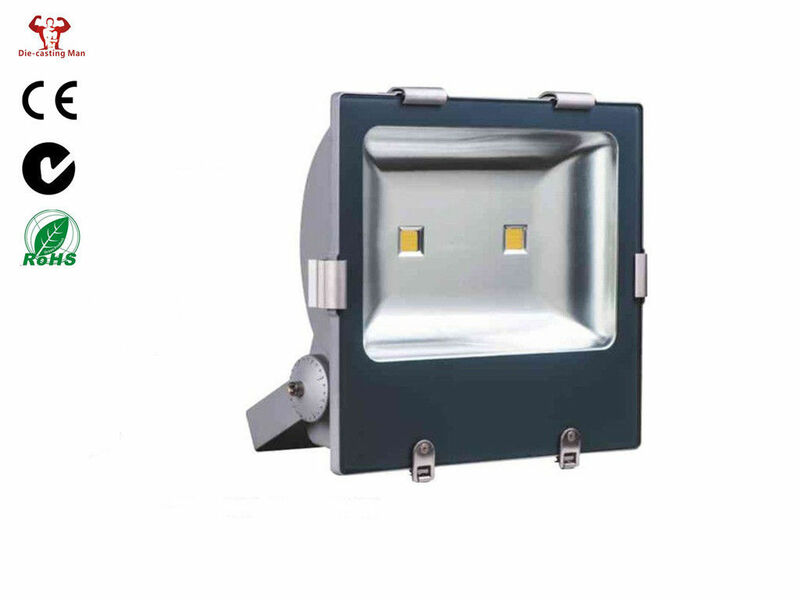 100W Outdoor Led Floodlight with Bridgrlux LED Chips as8000lumens output,high quality die-casting aluminum body,IP65,3Years warranty. 1. High light intensity , simple designs and ideally suited, LED Floodlight housing can make 80W --100W . 2. 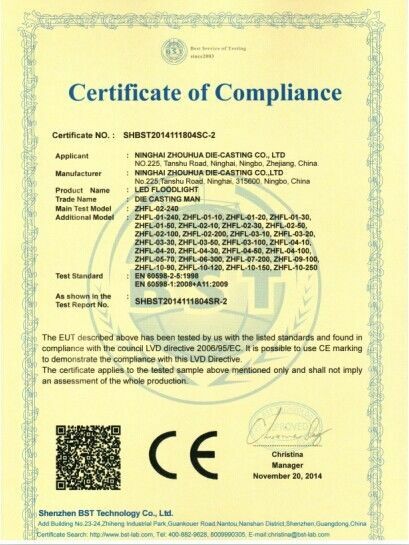 High quality Die casting aluminum boday with anti-corrosiontreatment and with electrostatic plastic coating. 3. 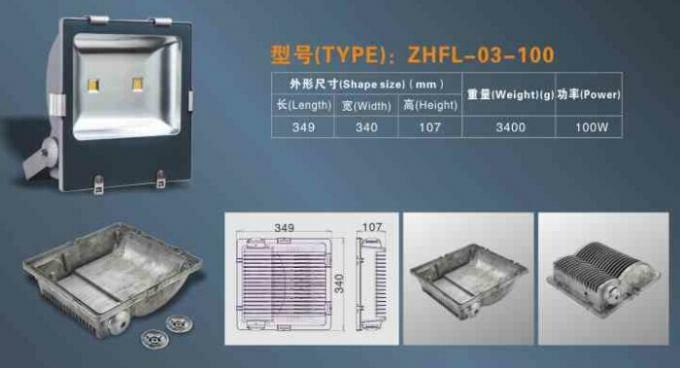 Highly polished aluminum reflector. High Efficient and power factor led power supply . 4. Adjustable single bracket could make the light for 120 degree around. 5. Obtain a 50-70% energy saving compared with halogen lamps. 6. Replace traditional SON and Metal Halide which consume 250-400W. Advertisement Boards,Gardens,Hotels,Lighting Walls,Car Parks,Area with CCTV. 1)we can use the material according to your component request. 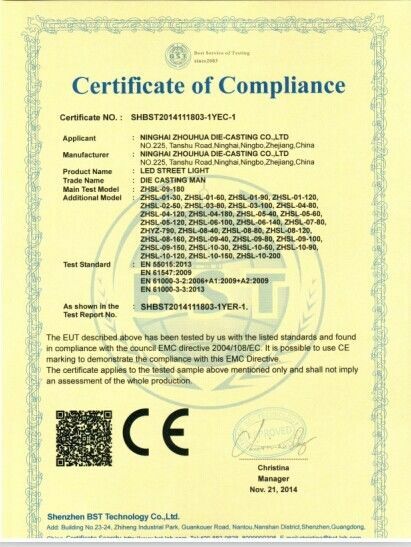 2)we are die-casting manufacturer for around 30year, we are professional on lighting design and the quality and cost control. 3)we have profession engineer to make sure the design of the housing or the technical date of the product is meet your requirement. make your idea/drawing to be truth. 4)we are a lighting industrial park,so we can offer the best delivery for you. 5)we have good experience on assembling and exporting lighting fixture for around 10 years,so can offer you very good service.